Couple more failed colonies, and I decided what the hell I want to see how it works, and booted up a tribal start instead of the crash landed. I know the login says it's more difficult, but I've found it loads easier, the extra people at start make everything go so much more smoothly which makes me think my problem on the other games has been not recruiting enough. I'm several years in, and just catching up to where you start in a crash landed start, tech wise. Had a lot of fun with this game when I played it, but I petered out just before they added travel and multiple settlements and all that jazz. Fun game. Good foundation and premise. What eventually annoyed me into giving it up was the weird raiding system. For some reason I'd get attacked by tribals, which is fine, but they would completely curb-stomp my power-armoured heavy weaponry settlers. This would happen across multiple playthroughs no matter what so eventually I just gave up. Nothing struck fear into my soul as much as seeing a raiding party of twenty naked spear-wielding tribals rushing my perimeter. Been wanting to get into Rimworld. Seems to be a more accessible Dwarf Fortress from the LPs I have watched. But, I really think Dwarf Fortress has a bit more character to it. It's definitely more accessible than DF, but you're right. Dwarf Fortress has more content and more replayability. It's tough to beat the cult following DF has developed over the past, gosh, how long has it been? Twelve years now. Around that amount of time. Shows what you can get if you shove a math whiz nerd into a one bedroom apartment with a laptop, a few cases of Mountain Dew, and enough donation money where all he has to do is code and nothing else. I have gotten to where I can do stuff in DF, but I thought I was a bit over my intelligence level for a quite some time. That is, until after watching several hours of the more popular streamers like Das Tactic, Quill18, Vinesauce, and a few others AND having to have the wiki on a tab at all times. Even then, I am by no means ready for prime time with my DF play. I am enjoying Krugsmashes' LPs. He actually edits the stuff down rather than 30+ long hour LPs. Does not show the tedious micromanage stuff and just cuts to the good stuff DF is famous for. Puts artwork in, too. But yeah. I am watching RimWorld and am on the fence still about getting it. Want it to go through just a few more dev cycles and do a bit more research into it. Maybe free myself up more time, too. I play Rimworld too . Created the main trio based off Harvey Beaks characters (Harvey, Fee, Foo) even in appearance. I had the "Prepare Carefully" mod for the game. Got a few colonists later in the game (Playing on Phoebe Chillax Base Builder) one from the falling pod and the other from just migrating. Sometime later, Fee and some of my colonists got sick with Malaria . Got a some meds and an adept doc; But I'm not sure if they could survive. 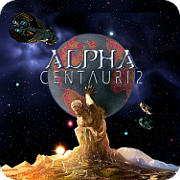 Also an interesting idea with the "Prepare Carefully" mod is to recreate the Alpha Centauri leaders there . Imagine with the bloodthirsty trait, or with the prosthophile trait. God shall punish the wicked at the hour of judgement! He shall henceforth pour his HOLY CLEANSING FLAME at the UnBEAKlievers and IMPURE SOULS! CLEANSE thy SOUL, or be CLEANSED by the WRATH of GOD! BEAKlieve, or PERISH! Rimworld Beta 19 has been released. Seems to have some significant changes and additions. Turrets, bridges, water wheels, hauling tweaks, and a lot of other things. I haven't tried it yet. Fluffy's Mod Manager Mod has literally saved my Current B19 game. And I can easily see what mods (only about 5 out of over 150) I still need (or drop if I can) to be able to fully port it over to the 1.0 version. Page created in 0.452 seconds with 54 queries.